Having a criminal record already makes life more difficult, even years after you've "paid your debt to society." If you're trying to move, conduct business, or do anything else overseas, having to get a criminal record translated for official review is only going to make things that much more challenging. Fortunately, professional translation service providers like Translation Cloud, which has over 15 years of experience translating court and legal documents for clients around the globe, getting a certified criminal record translation doesn't have to be difficult. 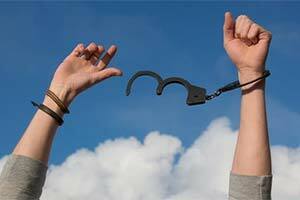 What is certified criminal record translation? First, a professional translator translates your document. We work hard to find you a translator who not only natively speaks the language you need your criminal record translated into, but one who also has experience in legal translation. This way, you can rest easy knowing that your translation is accurate and correct. Second, your completed translation is certified. The certification process involves getting a signed and notarized testament to the accuracy and quality of your translated criminal record. This certification is required by most courts and government offices around the globe, and can even help guarantee USCIS acceptance. Although criminal records are generally short, simple documents, that doesn't necessarily mean they should be overlooked when it comes to providing an accurate translated version. Trying to cut corners will only come back to haunt you later, so save yourself time and money up front with a professional, certified translation of your criminal record. Contact us now for more information on how our criminal record translation services can help you now!